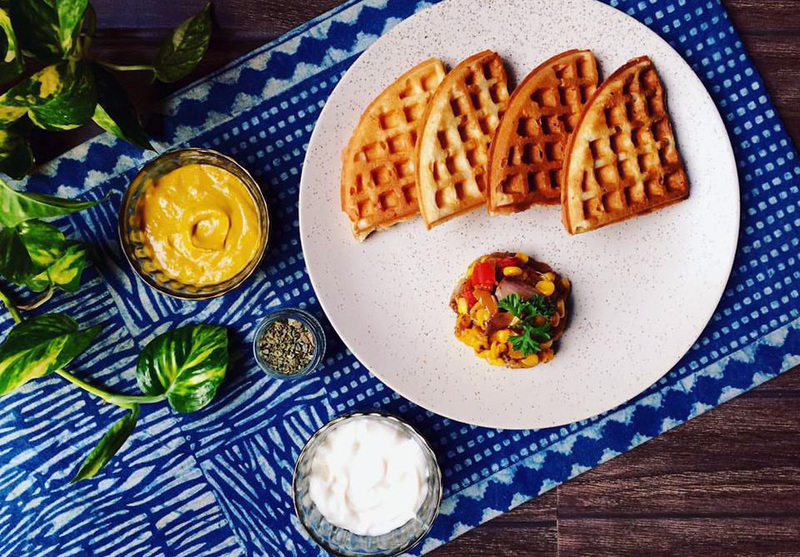 Stop My Starvation is India's first chain to offer savoury waffles & crepes with a local touch. We embarked on a very enticing food journey on 2nd July, 2016 by bringing in 2 popular global cuisines - European & Indian – mixing it to the right taste is something which describes us. Besides Waffles and crepes, our menu also includes pancakes, sandwiches, and beverages. We are happy to have a growing number of loyal customers who have really appreciated our offerings. Many food brands are succumbing to predatory rivals in the competitive ecosystem. So, it becomes very important to have focus upon differentiated offerings. Our waffles & Crepes menu not only includes the sweet flavours but also the savoury flavours. I.e., Chicken Tikka waffle in savoury is one of our USP's. While in crepes, Shrooms of the Wood (Mushroom with Herbs & Cheese) is amongst the top pick. We had great traction in the initial few months of our launch with customers praising our home delivery system as the quality of the product was tremendous. Thus, we took the delivery component seriously and deep dived in packaging and sustainability of food when it is delivered. After research and quality check on our product, we moved into delivery model and defined the areas accordingly i.e. the time limit and delivery areas to which our products can sustain. We also reached out to more number of customers who prefer ordering online which was our first mover advantage for delivering waffles and crepes at the door steps.